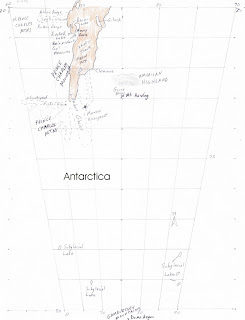 Amery Ice Shelf and Lambert Glacier occupy a deep rift valley, one of the most prominent bays or indentations in the solid wall of icy land and mountains that is East Antarctica. Lambert is the largest valley glacier in the world. 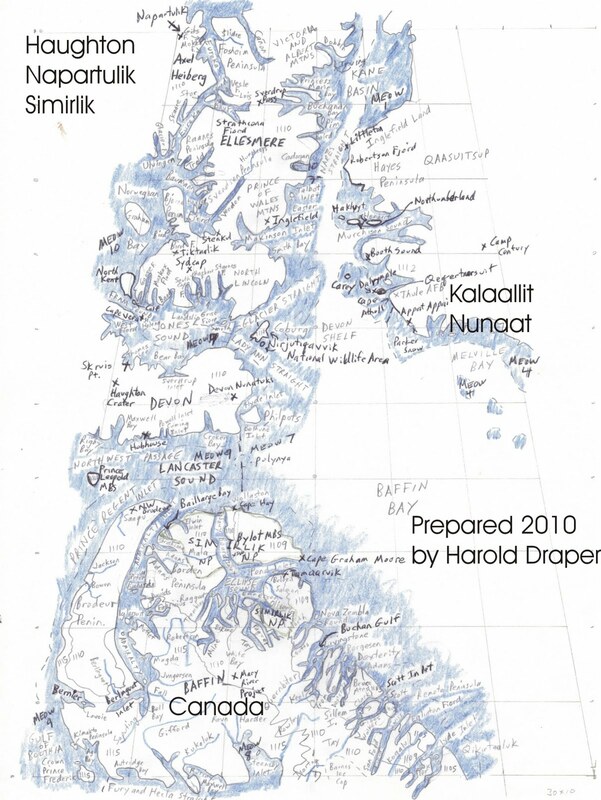 Below the ice of the Amery Ice Shelf, a marine community thrives underneath 700 m of ice and over 1200 m of sea water. Drilling during 2005 into the ice shelf by the Census of Antarctic Marine Life indicates that sponges, fan worms, urchins, and sea snails are abundant. 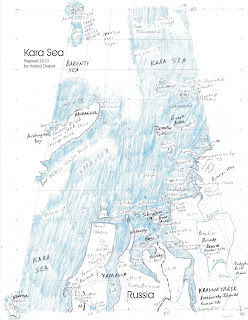 I. Map boundaries: 70 to 80 degrees North; 60 to 90 degrees West. The center of this area is about 2,000 miles north of Quebec City. 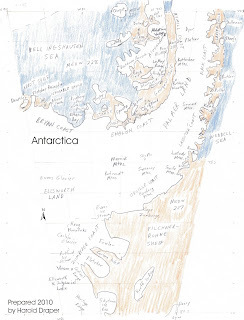 This map contains ecoregion boundaries (terrestrial and marine), important bird area locations, national wildlife area locations, migratory bird sanctuary locations, river names, fiord names, fossil locations, and mine locations not found on atlas maps. 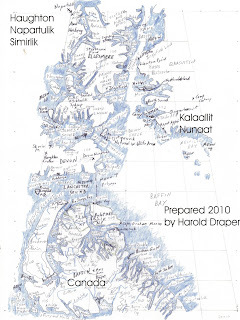 Ice shelves in the Bellingshausen Sea are melting, making map-making a moving target. 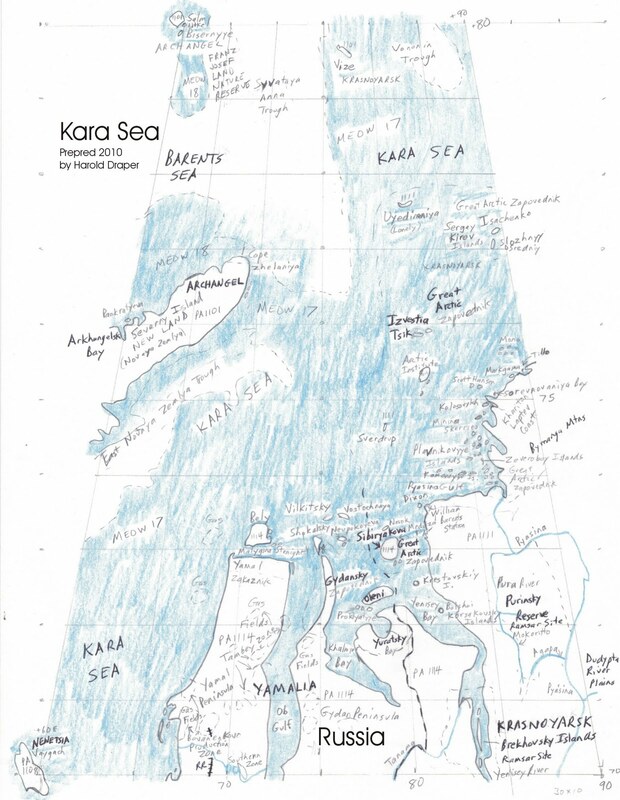 The attached map shows the grounding lines on US Geological Survey maps published for the area; the geography is subject to change as the polar regions warm and coastal features are revealed. 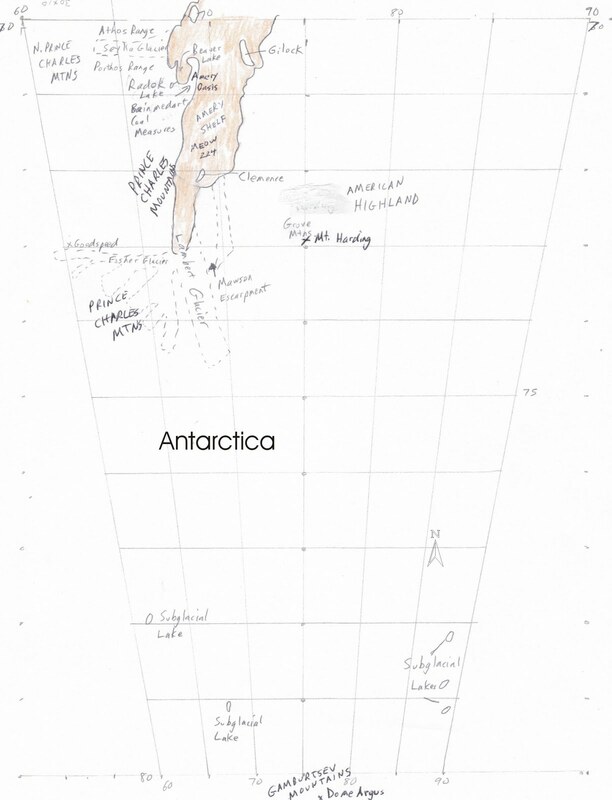 The more northerly Wilkins Ice Shelf collapsed in 2009 between Charcot Island and Latady Island and is no longer connected to Charcot Island. The Bryan Coast contains a 250-km long ice wall along the Bellingshausen Sea coast.